The first time we visited the Sanctuary, it was through the eyes of the troublesome hostage Daryl. The second time, it was an abridged tour through the eyes of Carl. In The Walking Dead S7 E11 ‘Hostiles and Calamities’, we learn what a difference it makes to be considered valuable. In theory, ‘Hostiles and Calamities’ is nothing we haven’t seen before. 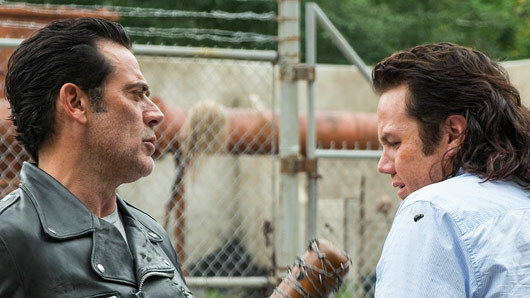 We’ve witnessed Negan’s brutal methods of punishment. We’ve been present at group Saviour meetings. We know Negan’s wives are unhappy. We’re aware that they’ve got craftsmen and enough food to lead fairly decent lives, if it wasn’t for Negan. ‘Hostiles and Calamities’ revisited all of this, but through Eugene’s perspective, it felt like a completely different journey. 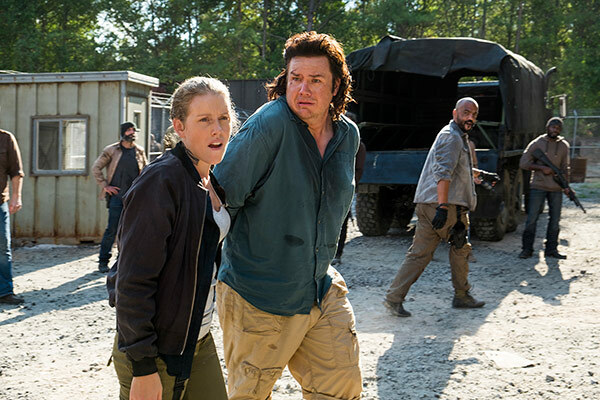 Eugene’s intelligence, resourcefulness and cowardice make him a perfect fit for the Saviours, and Negan knows it. In a complete reverse from Daryl’s experience in 7A, we see Eugene presented with food, comfort, resources and even women. The same torture and harrowing atmosphere that did nothing to Daryl easily breaks Eugene. By the end of the episode, he is only too willing to declare his allegiance to Negan. This was predictable, of course, but the journey there was something special. In juxtaposition to Eugene’s story, we continue Dwight’s. This is more surprising, and at one moment – heartbreaking. 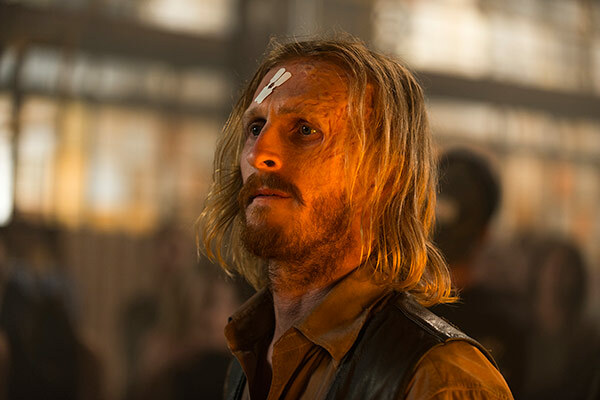 We learn it was Sherry who let Daryl free, before fleeing. When Dwight goes to find her, he finds a note explaining why she left and how sorry she is to have made Dwight into the person he has become. In a sense, Sherry ties Dwight to humanity in the Saviour compound. Without her, he becomes a gruesome sadistic figure that has been moulded almost too successfully by Negan. He tells a lie that results in the most intense moment of the evening. As a viewer, it’s deeply troubling. Throughout, Dwight smiles. It felt at the beginning we would get two parallel stories with two different outcomes. From the moment Eugene revealed his penchant for creating bullets, he was always going to become Negan’s pawn. Dwight’s story has been the curveball. He has learnt to survive and even thrive in the Saviours’ compound, but how happy he is about this has always been unclear. The character is a wildcard. When it seems he will abandon Negan’s cause for good, he returns, but still we doubt his allegiance to Negan. It makes the character fascinating to watch. It’s clear there is still a lot of Dwight’s story left to tell, and the show will be all the better for telling it. ‘Hostiles and Calamities’ is undoubtedly the highlight of part 7B so far, even if little happened in terms of progressing the season’s plot. The episode filled us with insight on two thoroughly interesting characters, and how they adapt to the world with which they are presented. It was a clear and defined journey. It was at times wondrous, at times horrifying, and at times heartbreaking. In short, it was exactly what a good episode of television should be like.